Should I keep biking during pregnancy? 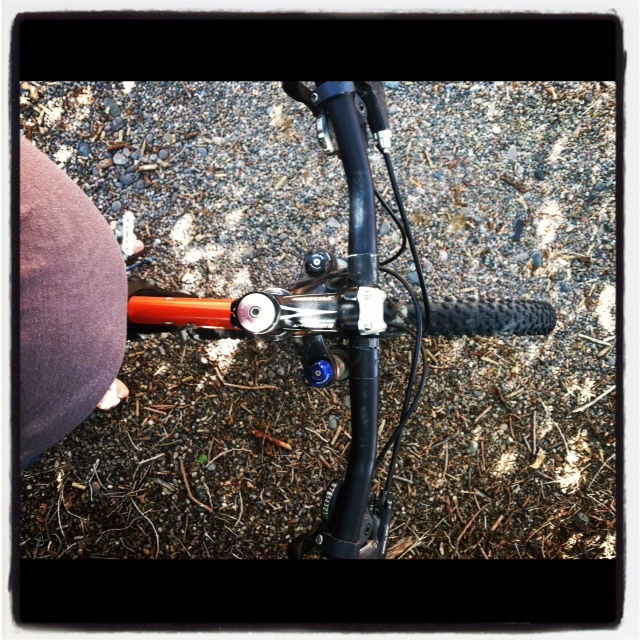 One of the biggest questions I have heard surrounding biking in pregnancy is “how do you keep your balance?”. Well, in my opinion it’s no different from walking. Your body will acclimate to the extra weight. Luckily this weight is in your midline so it shouldn’t throw your balance off too much. I am almost 8 months pregnant now so I can’t speak for what it would be like just before giving birth when your belly is at its max. But even now, I can’t see my feet when standing up and looking down…and I have no issue with balancing on the bike. I have run into other issues: fatigue and over heating. When I first found out I was pregnant, my partner invited me to mountain bike. I tried to participate as much as a could but the fatigue was that of something I had never experienced. I must note that I wasn’t going on super technical rides either. You do want to be careful of not falling off your bike. I would still consider myself a novice so I stayed to the more flowy mellow trails once finding out I was pregnant. My last mountain biking ride was probably around 16 weeks. I was just too tired to really push it. Then I ran into the next dilemma. 100 degree desert heat in Santa Fe. I have never been one to enjoy AC but with a baby growing in your belly your internal heat rises. So I will admit to not riding my bike as much as I did last summer because I found that I would become ill from overheating really quickly. One of the biggest causes of premature labor is dehydration. So you have to be really careful to listen to your body and make sure you are getting enough fluids. You can’t exercise with the same intensity as you did pre-bump but staying active is healthy for both you and baby. Of course, listen to your doctor if you have a high risk pregnancy or if something just doesn’t feel right don’t push it. You know your body best. But if you enjoyed biking before, there’s no reason why you need to completely stop.